There’s a whole lotta tourin’ going on. 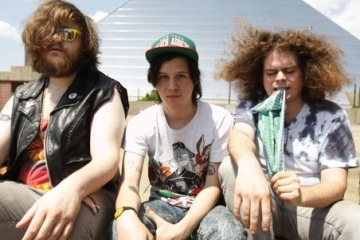 Terrible pun aside, a slew of bands announced tours this week. Sleigh Bells, Neon Indian and CSS will be starting their tour at the Coachella Music Festival, Lil Wayne announced his “I Am Music II” tour with co-headliner Nicki Minaj, and supporting cast Rick Ross, Mix Master Mike, and Travis Barker. Black Lips and Vivian Girls announced their tour across the east coast and most of the Midwest. Wavves and Best Coast are hitting the road together, while The Pains of Being Pure at Heart are touring with newcomer Twin Shadow. The spring is looking to be quite a busy season. On a side, and extremely sad, note, the Coachella Music and Arts Festival is sold out. Tickets were only available for 4 days before selling out, and they’re now being sold on eBay, Craigslist and ticket bartering sites for as much as $1,500. However, All Tomorrow’s Parties new festival in Asbury Park (starting 9/30) still has some tickets left, even though Jeff Mangum’s private Monday show is sold out. Curated by Portishead, they will play alongside Bonnie ‘Prince’ Billy, Shellac, Chavez, and many more to be announced. 3-day passes run for $269. 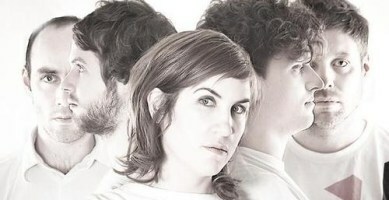 * Young Galaxy had the misfortune of being lumped into the chillwave obsession of 2010, but their brand of chilled-out electronic swirls have Studio’s Dan Lissvik producing their upcoming album, Shapeshifting. “We Have Everything” is an absolute pleasure to hear. The bleeding vocals compliment the lighthearted melody without overpowering the overall mood. 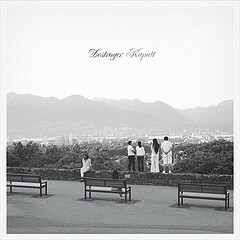 * Memory Tapes’ 2009 LP was fantastic. “Today Is Out Life” comes from the new Love SIC Disco compilation. The track showcases a more focused style from Memory Tapes than was seen in ’09, but still retains Dayve Hawk’s signature hazy flutterings. Hawk also stated that the song would be included on the Memory Tapes sophomore release. Dan Bejar decided on the name ‘Destroyer’ for his side project because he was so surprised no other band had ever taken the name. And while the name has a negative connotation, Bejar’s experiments in the world of singer/songwriters has produced some of the best albums of the last decade. Destroyer albums range from the minimal and acoustic to the sonic and electronic. With Kaputt, Destroyer delves even deeper into Bejar’s experimental personality. One of the biggest examples is the first track, “Chinatown”, which employs a late-80s synth/drum/sax combination that, when coupled with Bejar’s haunting vocals, produces a track that sounds out of place at first, but then eases into itself and eventually sounds no more awkward than most of Trouble in Dreams. With Kaputt, Bejar keeps to an overall thematic use of synthesizers and 80s style arrangements; long, luscious and overdone. And while today’s music tends to veer away from this perceived fault, Bejar uses it with such confidence that he has you believing Olivia Newton John will start playing next. Read Mike’s review of the album here. Room on Fire was released when I was a senior at Grimsely Senior High School. This was a time before I wanted to hear anything beyond what the radio played. But I bought the sophomore album from the Strokes, mostly because the scene girls in my art class talked about how good Is This It? had been. Obviously fawning for their attention by letting the album sit halfway out of my book bag so they could see I had it didn’t work to curry their favor. Instead, it became one of my favorite albums. Specifically, “12:51” was one of the best songs I had ever heard. It was short, to the point; “rock ‘n’ roll”, but not bawdy; it had the garage aesthetic without sounding overly grimy. 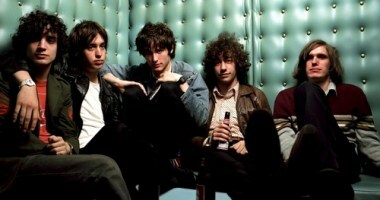 Some of the reasons I love the Strokes are the same reasons other people dislike them. “12:51” became a sort-of mood lifter for me. Whenever I was having a bad day, I’d pop Room on Fire into my car stereo. To this day, “12:51” makes me smile, not only because the track is one of the Strokes’ best work, but also because it reminds me of the days when I first became enamored with Casablancas and Company. Great music-blog:) I’m following you! Thanks for sharing Young Galaxy’s new tunes!! I like the melodic vocals. It kind of reminds me of an Irish folk song laid over electronic tracks. 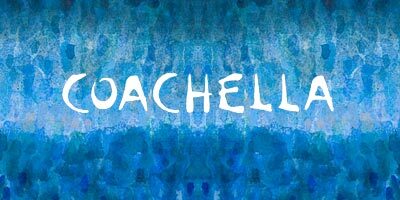 OMG, and I can’t believe Coachella is sold out! My first time listening to Memory Tapes. Like the guitar rifs. Smokin! Would definitely recommend to a friend.